What to Expect from the Market of Cryptocurrencies in the Nearest Future? If you want to know the news of the cryptocurrency market, then it’s time to visit one or more seminars or webinars on this topic from the reliable crypto club or similar organization. You can not only get answers to your questions, but also learn much more about analytics of the cryptocurrency market, blockchain’s perspectives, modern technologies and technical aspects of working with popular technologies, recent legal changes in legislation, and peculiarities of doing business, etc. 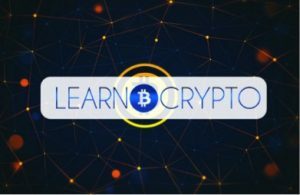 All you wanted to know about the technology of blockchain and cryptocurrencies, you can learn through blockchain education yourself or under the guidance of professional experts. Learn how millions are being earned in this market, get inspiring ideas, and find new opportunities for business development. You can learn from top speakers in different industries: representatives of technological start-ups, banks, government agencies, as well as developers, private investors, and independent consultants. How to find promising coins earlier than others. Databases of investors from other projects. To use or not? There can also be many other topics depending on the theme of the event. In the Beginning, Bitcoin Was Actively Used for Trading in Darknet. Does It Affect Its Value Now? Currently, communities that used Bitcoin in the early years of its existence play a smaller role. Many investors say that the most important factor stimulating the current growth is the access to the cryptocurrency market of hedge funds and other institutional investors through such large exchanges as CME and Сboe. Nowadays, they are launching bitcoin futures. It is not yet clear how futures trading will affect the Bitcoin rate. Under this scheme, banks can bet on the price of Bitcoin without owning it as a basic asset. It is expected that there will be many new players in the market, who will not want to deal with the complexities associated with storing Bitcoins. Futures contracts will also allow investors to bet on reducing Bitcoins, which has been very difficult so far. Some analysts believe that this will put pressure and reduce the price. Others are concerned that Bitcoin futures can spread the risks associated with the cryptocurrency to the rest of the financial system. And yes, people still use Bitcoin and other cryptocurrencies to buy illegal goods. But after the authorities closed the largest illegal market, this activity has declined. What is the role and importance of small investors in the market of cryptocurrencies? They are as active as large investors, and play their important role in the market. You can become such an investor. You just need to start to dig deeper into the topic, and everything that you need to consider you will learn with practice and time.